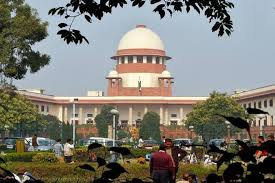 The Supreme court is set to hear a batch of petitions on the validity of Article 35A in Jammu and Kashmira amid protests and a shutdown in the Kashmir Valley on Monday. Article 35A guarantees special privileges to the state of Jammu and Kashmir. The petition seeking the scrapping of the Article 35A was filed in 2014 by a New Delhi- based NGO ‘We the Citizens’. In its petition, ‘We the Citizens’ has appealed to the apex court to abolish the law on the grounds that it was unconstitutional. The state government has filed an application before the Registrar of the top court that it is going to seek an adjournment of the hearing citing forthcoming panchayat, urban local body and municipal elections.